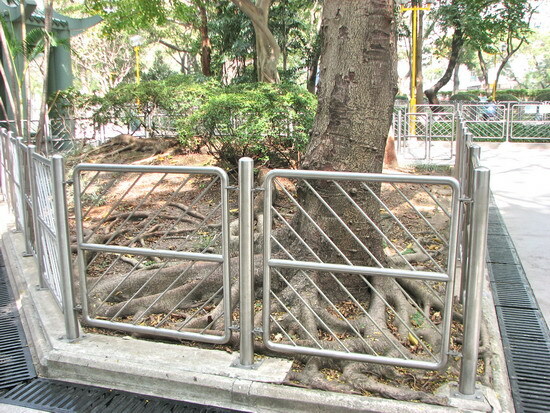 The tree species which are found in parks of Hong Kong are quite repetitious. It’s getting boring after visiting a few. However, occasionally you can find some individualistic parks. 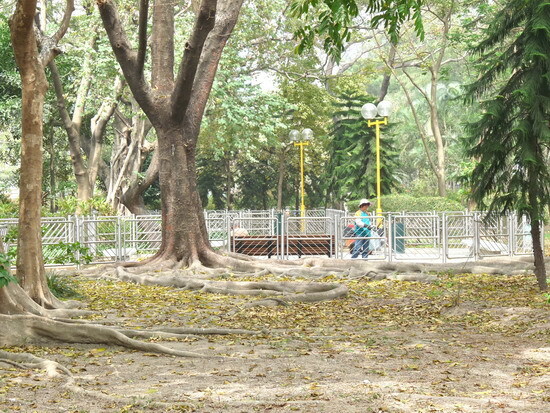 When you read up the layout plan of Sham Shui Po Park, you will find quite a number of irregularly-shaped tree islands. Walk around there and you will find something amazing. Big Leaf Fig (Ficus virens var. sublanceolata) is a tall and large tree species. 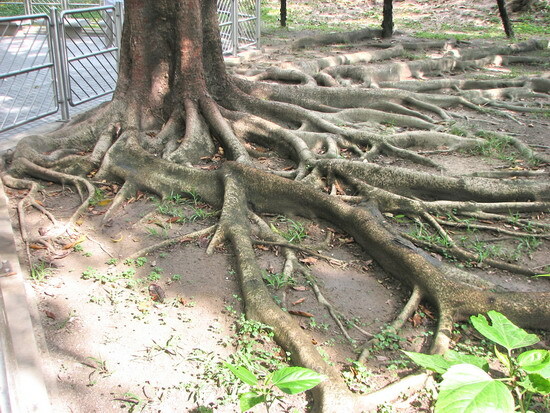 Its roots will grow out of the ground and wander off to somewhere remote. 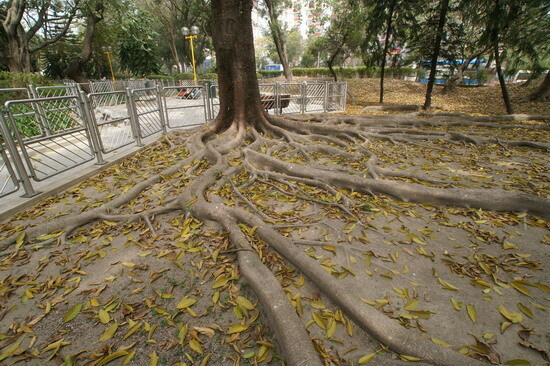 To conserve it, we need to reserve sufficient space for its roots to extend. 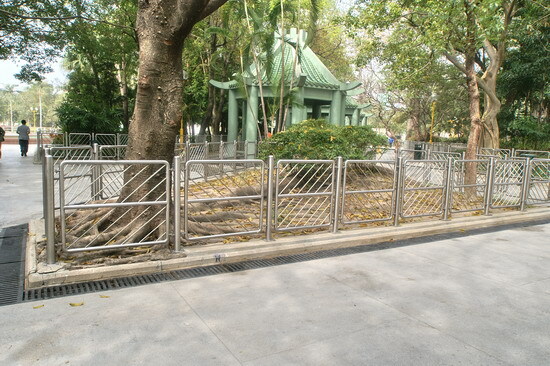 In Sham Shui Po Park, such scheme is being implemented. When you have tree appreciation overmuch, root appreciation can also be a delightful alternative.